As a November-baby, I tend to dread the Thanksgiving holiday. Don't get me wrong; I love food and family and all things Black Friday! How could I dread that? Well, I am a bit bitter about sharing that special holiday magic with my birthday. It's hard enough on the regular years, when Thanksgiving and my birthday just fall in the same week; my friends leave town to visit family, people are already in that gravy and stuffing mindset, gearing up for their big meals. Well every few years, my birthday and Thanksgiving collide. Such was the case this past year in 2016. It's fair to say I was not looking forward to the day to begin with. My Aunt, Uncle, Mom, my Boyfriend, and myself all met in Palm Springs to celebrate the festivities. And on that dreaded morning of Thanksgiving/my birthday: my mom initially forgot it was my birthday, my uncle (who has Alzheimer's) didn't remember at all that it was my birthday, my boyfriend realized he had forgotten my present back in San Diego, and my Aunt was already busy cooking the turkey, all while I sat on a couch trying not to be upset about it. But then, something magnificent happened that has sent immeasurable ripples out into my life: my Uncle gave me an old DSLR camera. It was a few years old, had been through a few rough Mississippi storms (you know the Southern-type! ), and needed some TLC, but it was still a top quality camera! Until then, I had only ever shot with compact cameras and my GoPro underwater. I was familiar with the basics of photography and how to use light, but the cameras I had been using would just not allow me to get the quality of images I was looking for. I knew the moment I started clicking that shutter that I had found something special. 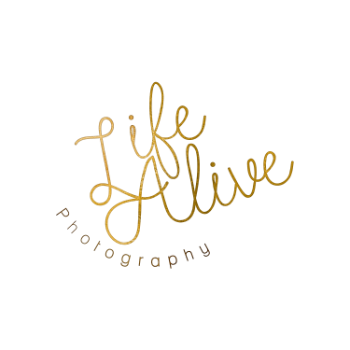 And, on that (initially) dreaded November day, Life Alive Photography began. Photography is something that makes my soul happy. I like to call those happy-soul moments Life Alive moments! Comment below with something that makes you feel Life Alive! A special thank you to my Uncle for making this journey possible, and to my fur baby Kai who reluctantly became my posing model that weekend.